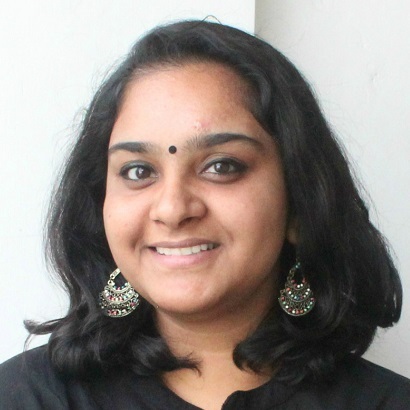 How To Make A Face Mask To Get Glowing And Baby Soft Skin? Having baby soft and glowing skin isn’t that difficult, ladies. The texture of your skin can be improved with the help of some natural ingredients. Here are 15 effective DIY face mask for glowing skin that will completely transform your dull and dry skin, and will make it oh-so-smooth like a baby. Learn how to make a face mask and try these fab homemade facial tips for glowing and supple skin. To make easy homemade face masks you need several natural ingredients that will surely help to make your skin glowy and soft like a baby. Learn how to make a face mask with the help of DIY face mask for glowing skin list given below! 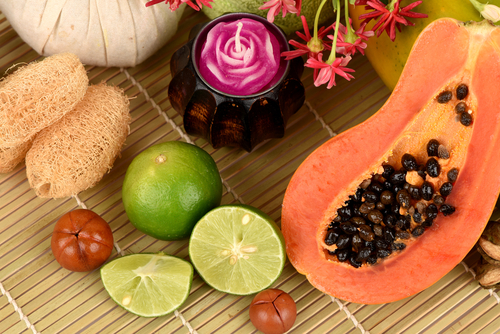 Papaya is a superfood for the skin - it helps nourish dry skin, giving your skin a silky soft texture. You can either directly apply the papaya skin on your face or mix it with other superfoods like avocado and cucumber. This homemade facial mask will help get rid of acne scars and other blemishes, making your skin clear and soft. Step 1: Add avocado and papaya pulp, and grated cucumber in a bowl. Step 2: Mix it to form a smooth paste-like consistency. Step 3: Apply this paste on your face and neck for about 15-20 minutes. Step 4: Wash your face with lukewarm water. Apply this 2-3 times in a week. The humble egg can make your skin glow by getting rid of pimples for you. It also helps maintain the elasticity of the skin and shrinking enlarged pores. 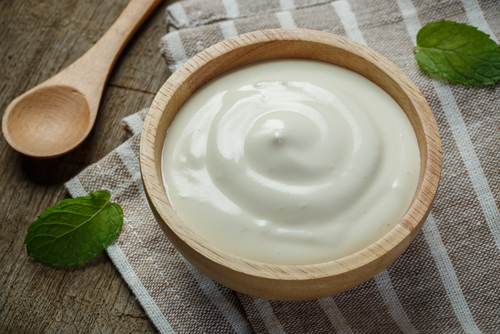 Add this miracle ingredient in different face masks and say hello to glowing skin. Step 1: Take an egg and separate the egg white. Step 2: Add 1 tsp honey and lemon juice. Step 3: Mix it well and apply it on your face. Step 4: Leave the mask for 15-20 minutes or till the mask starts to get a bit hard. Step 5: This peel off mask can be rinsed off with lukewarm water and then follow-up with a good moisturiser. Apply this mask at least twice in a week. 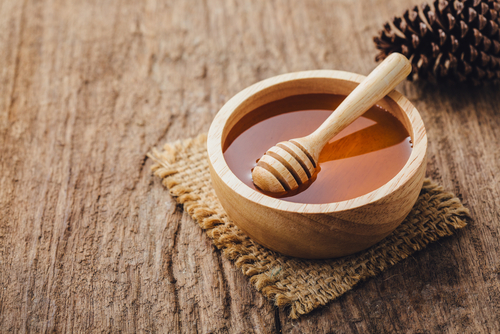 Honey is a natural moisturiser and rose water helps tone your skin. Such face masks are perfect to make your skin glow. Step 2: Apply this pack on your face. Step 3: Wash it off after 10 minutes. You can apply this mask every alternate day. Step 1: Add 1 tbsp gram flour with 1 tbsp oats. Step 2: Add rose water and mix to make a paste. Step 3: Mix 1 tbsp of honey (optional). Step 4: Apply and let it dry for 15 minutes. Step 5: Wash it off and apply a moisturizer of your choice. Apply this mask once in a week. Step 1: Take 3-4 tbsp yogurt in a bowl. Step 2: Add 2 tsp olive oil and mix well. Step 3: Apply the mask to your face and leave it on for 30 minutes. Step 4: Rinse it off with water. Apply this mask three times in a week. Fuller’s earth aka multani mitti, is the ‘it’ solution for all your skin woes. Whether your skin is dry or oily, you can always make your own multani mitti pack and get that lit-from-within glow. Step 2: Add 1 tbsp raw milk to form a smooth paste. Step 3: Apply it on your face and wash it off when it’s dry. Step 4: Pat dry and moisturize. Bananas are amazing for your skin, ladies. They help even out your rough and flaky skin, making it smooth. They also help you get rid of blemishes, and the potassium in bananas helps hydrate the skin cells, giving you supple skin. Step 1: Cut a medium sized banana into small pieces and mash it. Step 3: Apply the mask on your face and let it sit for 15 minutes. Step 4: Wash it off with lukewarm water. Apply this twice a week for baby smooth skin. 8. Raw Milk Works, Ladies! Raw milk makes for an amazing beauty supplement as it is rich in nutrients that boiled milk isn’t. It can act as a natural toner, too. But here is how you can apply raw milk for soft skin. Step 1: Take some raw milk in a bowl. Step 2: Add a few drops of lemon juice and mix. Step 3: Mix a few drops of rose water if your skin is dry. Step 4: Apply on your face for 15 minutes and wash off with lukewarm water. You can apply this mask daily. Sandalwood helps in enhancing your skin’s texture and makes it soft. 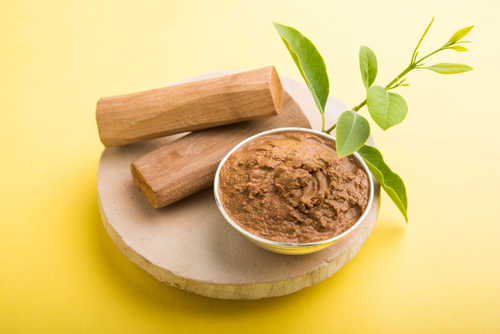 Add some sandalwood powder in your usual face mask and voila, hello baby soft skin. Step 1: Take 2 tbsp of sandalwood powder. Step 2: Add 1 tbsp turmeric and 3 tsp honey. Step 3: Apply it onto your face and neck, and let it sit for 20 minutes. Step 4: Wash it off with cold water. Rice flour is an amazing natural ingredient for the skin. It is an antioxidant that helps protect your skin from the sun and also acts as an anti-inflammatory ingredient. Mixed with raw milk, it’s the best face mask, ever! Step 1: Take a handful of rice powder in a bowl. Step 2: Add some milk, enough to make it a smooth paste. Step 3: Apply this paste on your face and neck, and let it sit for 20-30 minutes. Step 4: Wash it off with lukewarm water and moisturize. Using tomato and lemon to make a face mask helps to get glowing skin as both of them contain acidic qualities that helps balance the oil on the skin. The almond face mask is one of the best homemade overnight face mask for glowing skin. It is the best face mask because it contains various nutrients like proteins, vitamins and minerals. Given below are the instruction to make this easy homemade face mask. 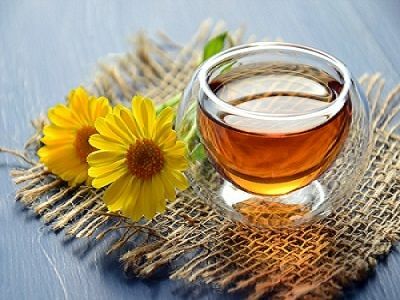 Honey is an amazing natural moisturizer for the skin and carrots are rich in Vitamin A, C, K and dietary fibres that help to make the face brighten and skin glowy. Given below is a step by step guide to making the DIY face mask for glowing skin. Orange is packed with Vitamin C and its benefits and yogurt moisturize the skin naturally. Thus, they are the best combination to be used on the skin as a face mask. Papaya contains nutrients, mineral and vitamins and banana is filled with potassium and on the other hand, cucumber is an amazing natural product to keep your skin hydrated. So, overall these products come as an amazing combination to get glowing skin. Step 1: Take ¼ Papaya and Cucumber with half a piece of banana. Step 2: Blend the products together and make a paste out of it. 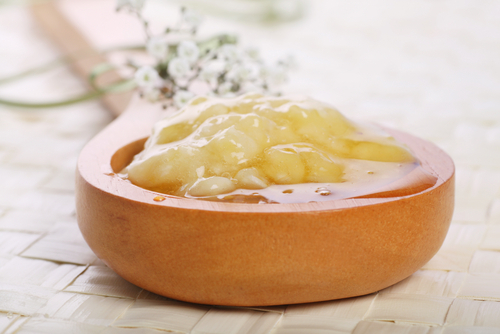 So, these were some of the best DIY face mask for glowing skin that you should definitely try.